Thomas W. Storer completed undergraduate and graduate programs in kinesiology and exercise science at California State University and a PhD in exercise science at the University of Utah. He has taught and conducted research at the college and university levels for more than 35 years. His research has focused on androgens, resistance exercise training, and other function-promoting therapies to combat the muscle wasting and physical dysfunction common in aging or obese patients, or those with chronic disease. Storer’s interests extend to clinical applications of cardiopulmonary exercise testing and interpretation, and their use in interventions for improving aerobic function and performance. 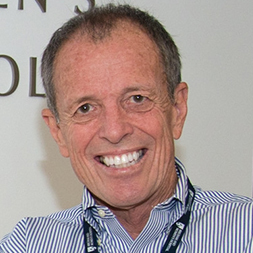 He currently serves as director of the Exercise Physiology and Physical Performance Laboratory and as associate director of the Functional Assessment Core, Claude Pepper Older Americans Independent Center, at Brigham and Women’s Hospital. He is the author or co-author of more than 70 publications, including a textbook on cardiopulmonary exercise testing and interpretation. He serves as chief exercise physiologist for the National Institute on Aging-funded Testosterone Trials and other NIH- and industry-funded trials of anabolic interventions for improved physical function.